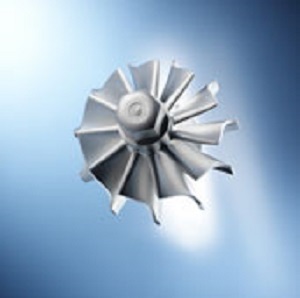 New stainless steel metal injection molding grades allow metal parts to be manufactured at lower cost but with the same high quality and performance according to their supplier BASF (Ludwigshafen, Germany). The new products, Catamold 17-4PH K and Catamold 316L K, are available globally, even for industrial-scale projects, and technical support is offered in all regions by an expert team. As announced in December 2012, a new Catamold plant will go into operation in Kuanyin, Taiwan in the second half of 2013. A few months ago, the Technical Service Lab for Catamold in Ludwigshafen, Germany was joined by another application technology lab in Shanghai, China. “These investments reflect our commitment to driving growth in the metal injection molding industry,” says Stefan Koser, Vice President Metal Systems at BASF. Catamold is a ready-to-use raw material for metal and ceramic injection molding (MIM and CIM). The wide product range includes low-alloy and stainless steels, special alloys, and ceramics. Catamold is used in a wide range of applications, especially in the electronics industry as well as in the automotive and consumer goods industry. With Catamold, geometrically complex parts can be economically manufactured with conventional injection molding machines. It allows metal and ceramics to be molded as plastic, thus opening up new possibilities for making complex components with economic and technical benefits including a high degree of automation, a wide range of shapes, near-net-shape manufacturing, and good mechanical properties.